We don’t Halloween, we Harryween. We are jumping on the Hogwarts express this October and transforming into Hogwarts for a great feast. The 24th of October will be the day, and for $65 we invite you to join in on the fun with a feast and of course don’t miss out on potions class. Wear your best Harry Potter wear so we know which house to put you in. 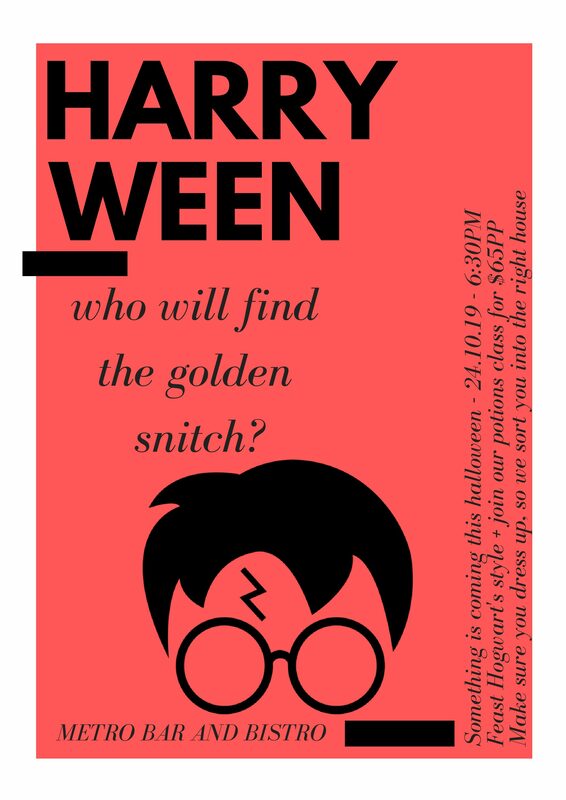 Who will find the Golden Snitch? Filed under Gallery, Special Events, Uncategorized.